I have Hard Drives that need to be destroyed. Where do I begin?? I recently had a meeting with a prospect to discuss Hard Drive Destruction. They had a backlog of drives and no idea what type of destruction process they wanted to put in place. They wanted me to provide them some suggestions of different ways to destroy their media. This is a common problem in both Government and Private Industry. So whether you are a Federal Government Agency with Classified National Defense Data or State or Local Government with Unclassified but sensitive data or a Commercial Company with Critical Personal or Business Information below are some suggestions on effective ways to sanitize and destroy the Hard Drives. 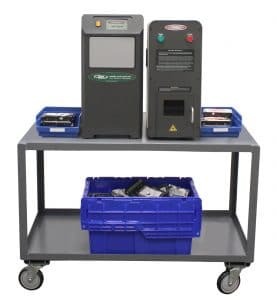 Degaussing is a very effective method of erasing data on magnetic media (Hard Drives and/or Data Tapes). 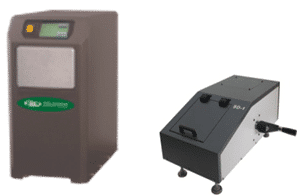 If you are trying to erase unclassified (CUI) or sensitive data, a Commercial Deguasser like SEM EMP-1000 is a great way to do so. 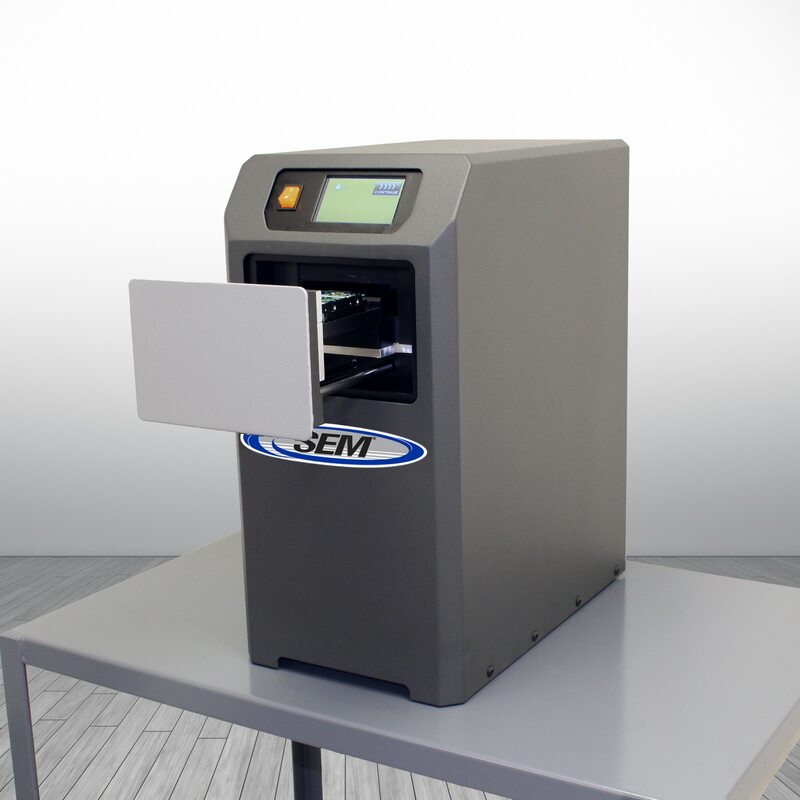 The SEM EMP-1000 is the most powerful commercially sold degausser on the market today. With power at 16,000 gauss (1.6 Tesla), it erases the highest coercivity magnetic media available today without the use of any adapters. Another alternative is the SEM Model SD1-Mobile Deguasser. At 12,000 gauss, this manually operated; fixed magnet solution is an equally effective solution. If you have Drives that Classified Data or just want the most secure solution possible then an NSA Listed degausser is the way to go. The SEM EMP-1000HS has been evaluated by the NSA for “classified” erasure. When degaussing with this solution, you are ensured that all the data has been erased in accordance with the guidelines set forth by the National Security Agency. Physical destruction is another method of destroying Hard Drives. The SEM 0101 Hard Drive Crusher is an entry level device that punches a hole in the drive. It can destroy standard HDDs and up to six Laptop Drives in one 8 second cycle. A level up from that for physical destruction would be the SEM Model 0300 HDD Shredder. This machine shreds the drive down to a particle of 1.5 providing a higher level of security. These methods physically destroy the media making them inoperable. For the highest level of Security, you may want to consider a two-step process of “erasing data” with a Deguasser and Destroying the media with a Crusher or Shredder. This would give you piece of mind that the drive has been degaussed thereby erasing the information and then physically destroying the media to make it inoperable. The most secure way to accomplish this is to consider a solution like the NSA Level Deguass and Destroy BUNDLE which consists of an NSA Level Deguasser and an HDD Crusher or Shredder. Once erased, the physical destruction of the drive with a crusher or shredder gives you the most secure information sanitization program in the market. 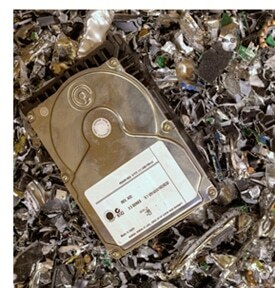 If you need to destroy hard drives, laptops, blackberries or any other type of electronic media, SEM has a solution to meet a wide variety needs and budgets. For more information on Hard Drive Destruction or any other effective “Electronic Media” destruction, please visit our website at www.semshred.com or contact us directly at 800-225-9293 EXT 1048 m.sousa@semshred.com to discuss any of your destruction needs.